(1 Customer Reviews) | Write Review 12 issues per year The Horse Magazine is for the serious fans of equestrian sport and focuses on the three Olympic disciplines: Eventing, Dressage and Showjumping. The magazine is a rich resource of high quality training articles, and features top local and international trainers – like George Morris, Ingrid Klimke and Princess Nathalie on a regular basis. If you want to know how to ride a dressage test, go clear showjumping or ride cross country, this is your magazine. The world’s most important international equestrian events are also given the THM unique, in-depth, and behind the scenes treatment. The magazine regularly features in-depth analysis of Sport Horse breeding by the editor, Christopher Hector, and is essential reading for serious breeders. All the action from the Summer Showjumping Classic at SIEC, and Lakes and Craters. Plus Adelinde Cornelissen in New Zealand, Training Techniques with Ingrid Klimke, A Photographer's View of Dressage, Balancing the Young Horse with Michelle Strapp, Susie Hoevenaars and the state of Australian Dressage, and Andrew Hoy on the changing world of Eventing. As well as exclusive interviews, and all of the regulars! The Horse Magazine is for the serious fans of equestrian sport and focuses on the three Olympic disciplines: Eventing, Dressage and Showjumping. The magazine is a rich resource of high quality training articles, and features top local and international trainers – like George Morris, Ingrid Klimke and Princess Nathalie on a regular basis. If you want to know how to ride a dressage test, go clear showjumping or ride cross country, this is your magazine. The world’s most important international equestrian events are also given the THM unique, in-depth, and behind the scenes treatment. The magazine regularly features in-depth analysis of Sport Horse breeding by the editor, Christopher Hector, and is essential reading for serious breeders. 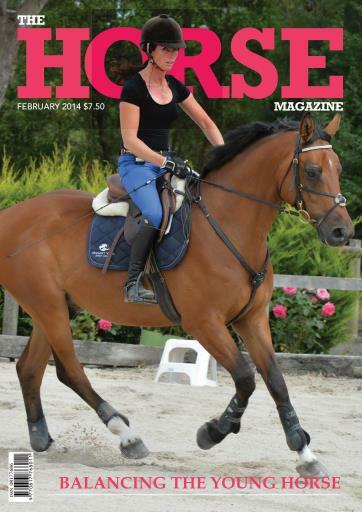 You'll receive 12 issues during a 1 year The Horse Magazine magazine subscription. I just love how honest and up to date the reporting is. You'll receive 12 issues during a 1 year The Horse Magazine magazine print subscription.